Recognizing that students can’t learn if they are hungry, and realizing that implementing a cafeteria program that meets all of the nutritional, financial, and reporting requirements is a daunting task for a school, the ACES membership decided to seek a high quality, cost efficient method of providing a food program to students. ACES issued a Request for Proposals (RFP), seeking vendors who have experience and a great track record of feeding students; yet meeting all of the student nutrition guidelines and reporting requirements in a cost-efficient manner. Through the competitive bid process, ACES selected Canteen of New Mexico and Swan Kitchens as the cafeteria/foods services vendors to recommend to charter schools. Canteen of Central New Mexico (www.canteen-nm.com) offers a variety of options and solutions to meet your food service needs. Based on the facilities you have, Canteen can prepare food from scratch on site or deliver hot meals straight to your campus. We offer menu planning for breakfast, lunch, snacks and dinner as well as prepare sack breakfasts and lunches for field trips. Canteen will be there to assist you in any way possible. For districts/schools with on-site cooking facilities, Canteen will hire the staff to prepare, serve and track the meals offered at your facility. They also have many resources available to the Administration to help meet the requirements under the National School Breakfast and Lunch Program. Their team of professionals can also help design an available open area to a functioning cooking area that meets the criteria of the Environmental Health Department. Canteen of Central New Mexico offers all styles of food service programs that meet the requirements of the CACFP, National School Breakfast and Lunch Program, the various Summer Food Service Programs, as well as College/University feeding. Contact them today for more information at 505.344.3481. They would be happy to serve you. 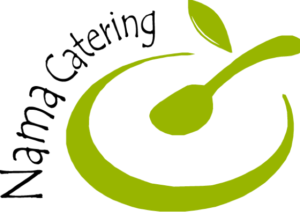 Nama Catering makes healthy, house made, delicious meals using whole grain and whole wheat in breads and pastas. As an added health and economic community benefit Nama Catering supports local farmers through the preferred purchase of local and organic ingredients. Nama’s menu showcases a rainbow of seasonably available fresh fruits and vegetables, planned with food appeal and nutritional balance, and fully approved by the USDA. The goal of Nama Catering is to provide tasty, high quality nutritious meals with food variety. By feeding students “brain food” Nama seeks to enhance children’s learning, as well as physical and mental well-being by offering daily sound nourishment and tasty nutrition. Meals are not previously prepared processed foods, but fresh non-institutional meals that reflect quality ingredients and superior taste. Feedback from parents and students have yielded high praise for the taste of Nama’s meals. Nama Catering specializes in food service to Albuquerque’s charter and private school community and has demonstrated well managed food operations for a broad representation of them. As an experienced food service provider to the charter school community, Nama is knowledgeable about and compliant with the rigorous community charter school standards and food service requirements. Shamrock Foods, a local, family owned business, offers not only the culture of a local company, but the depth of experience of one of the largest food distributors in the southwest. In addition to Shamrock’s 5 distribution facilities, holdings include: 2 USDA Meat Plants in AZ and CO; the largest dairy west of the Mississippi; a co-founder of Markon Produce Co-op; a Shortening and Oil plant in Colorado; fresh fish cutting operation; and an ice cream novelty distribution business. Shamrock has strong affiliation with all of the other large independent distributors across the nation, to strengthen its position in competitive quality purchasing, and nation-wide platform for sales. Shamrock Foods, with its local culture has lived by its motto of “treating our employees as family and customers like friends”. Decisions are made at a local level as close to the customer as possible. Shamrock’s purchasing strength is demonstrated by its: 1) membership in /MA National Cooperative organization for independent food service Distributors, which represents over $12 Billion in contracted spend, 2) as a founding member of Markon produce Co-op, which maintains the highest quality standards in the country, including traceability and an award winning Five Star Safety Program. Shamrock has a very rigorous vendor selection process and only deals with vendors that can meet Shamrock standards, weigh include quality standards and indemnifications. Shamrock would be happy to provide our vendor packet for your review. Shamrock buys for over 15,000 customers in multiple geographies and has secured the number one market position in both Arizona and Colorado for foodservice distribution. This buying power enables Shamrock to purchase in Best brackets to keep in-bound costs down.Shamrock has embraced technology throughout its organization and is committed to consistently embrace the benefits to the organization. 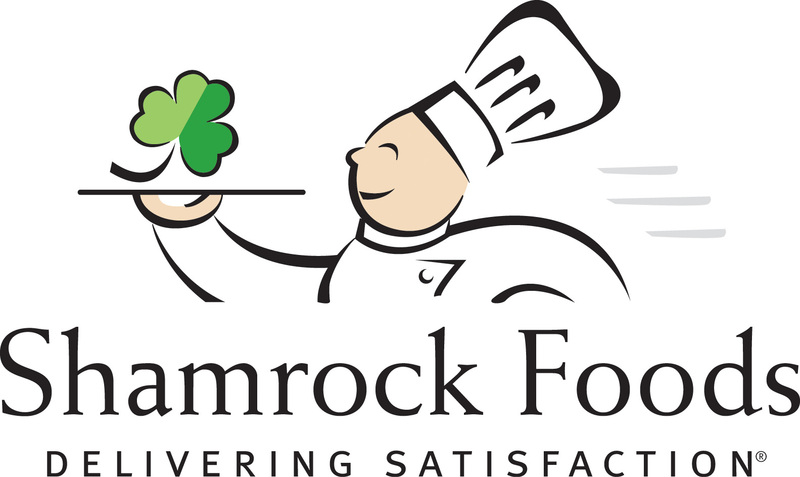 • Shamrock Foods has become a process driven Company using the Six Sygma tools to drive waste and inefficiency out of our system so we can better serve our Customers and help them further drive cost out of the supply chain beyond price. 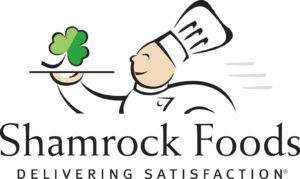 • Shamrock Foods is capable of doing both FTP and EDI transmissions and is doing so today for multiple customers. • Shamrock uses a bar scanning system to ensure the accuracy of the product being delivered. Each product is scanned as it is picked and again when it is loaded on the truck to ensure that product belongs to the correct customer. • We build delivery routes based on dynamic routing, geographic areas, case volume and stops. All routing work is done in Road Net by our own employees in our dispatch department. • Shamrock Foods New Mexico is a state of the art facility that houses product in its 201,340 square foot storage Warehouse.